Here's what I came up with for the turkey this year. This is in addition to the special brine and baking tricks...... well, what do you think? We like our turkey to be all juiced up, so I increased the recipe just a bit after trying it out, and my best recreation is in the below. Suggestion: wash and brine turkey first. Place turkey on lifting rack in roasting pan. Stuff rub under the skin, then inject turkey. Thaw turkey in advance. Remove giblets and neck from turkey: reserve to cook for pets or gravy. Brine the turkey the day before. Bring the injection ingredients to a boil, then reduce heat to low and simmer for just a few minutes. Cool. Strain so that only liquid will be sent through your injector needle. Inject turkey in many, many spots so the juice will cook through the meat during baking. Put rub under turkey skin prior to baking. If using the Alton Brown method, now you will rub oil over the outside of the turkey and bake it on 500 degrees for 30 minutes to lock those juices in, before turning down the heat to continue baking for the duration of the required time for your size turkey. Scald about a cup and a half of cup of milk. Make it 105 degrees; measure with a meat/kitchen thermometer. It must not be over 110, else it will kill your yeast! Take 1 cup of flour, 2 tbsp sugar, a pinch of salt, and 1 packet of quick activate yeast. Add about 1 cup of scalded milk, stir until combined (ok if lumpy) and set aside until it rises into a "sponge." Add 2 1/2 cups flower, and stir to combine until you get a nice dough. Add milk as needed for consistency. It should not be runny but should be... putty-like. Once it all sticks together, knead the dough on a flat surface adding flour if necessary so that the dough is not sticky. Work the dough into a nice ball, making sure you don't have any breaks or splits on the sides or top so that it will rise smoothly. One complete place the dough ball in a bowl with a cloth over the top and set in a warm place until it rises. 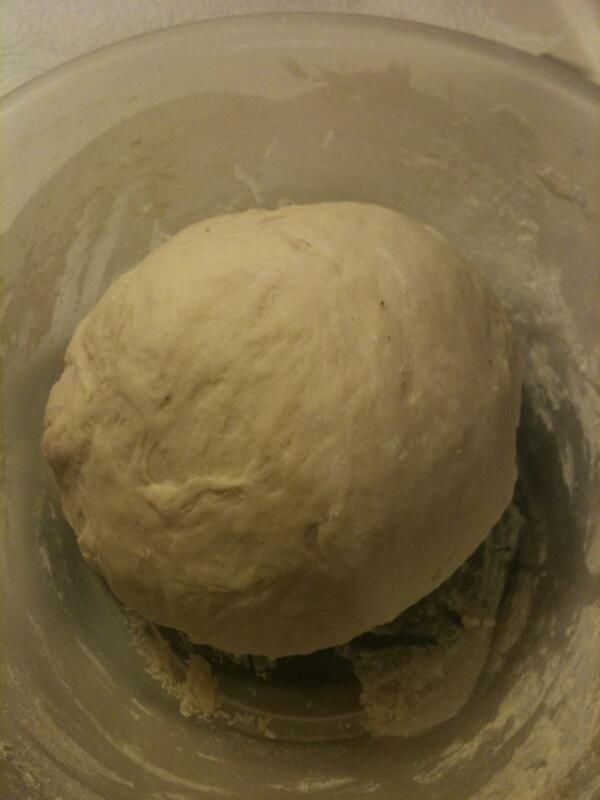 Take it out and knead it again and then set back in covered bowl aside to rise again. If you want you can divide the bread and place multiple smaller balls of dough aside to rise on your pan at this point. Once the second rise is achieved, spray your baking tray with non-stick spray and then bake at 400 degrees for about 20-30 minutes, until it starts to turn brown. Turn it halfway through so that it cooks evenly on both sides, if the oven is prone to not heat evenly (like a big one in a site kitchen might not). It will have a soft crust. If you want to have a hard crust you can brush the bread with egg wash before baking. Some more notes I looked up about ways to do the crust, though I prefer it soft, as is! Crackly, shiny crust: This is brought about by steam. If you don’t have a steam injector in your oven, you are not alone. 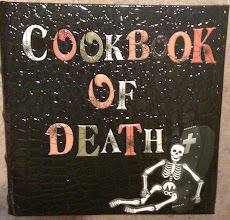 I’ve heard of lots of different ways to get a really good steamy, humid atmosphere in your oven: boiling water in a cast iron skillet in the bottom of the oven, throwing ice chips into a cast iron skillet in the bottom of your oven, spraying the dough with water before putting it in the oven—I’m sure you can think of more ways. For optimum crackliness, spray the dough and use one of the other methods. The water gelatinizes the starches on the outside of the dough, and this helps result in a crackly crust. You can also use a wash of water with a little cornstarch mixed in during the last five minutes of baking. Soft crust: This is as easy as not introducing extra steam or water. Don’t spray the dough, and don’t make steam. Another way of getting a soft crust and also imparting some flavor is to brush the crust with butter when you remove it from the oven. Golden, shiny crust: Apply an egg wash (egg and a little water beaten together) before baking, being careful not to let the egg wash get on the rim of the baking pan as this could, in essence, glue the bread down and inhibit a full rise. Soft, sweet crust: brush with milk with a little sugar dissolved in it before baking. I've been so excited to get started making cheese since the class at the SCA event on Jan 29th. The only reason I haven't yet is I've had so much trouble finding cheesecloth! Believe it or not, it's actually not so easy. The stuff you see in all the stores is unfortunately not FOOD grade. It's CRAFT grade. I finally gave up and ordered some online. Hopefully it will be here soon. I have everything else all ready and waiting! If you were to get all of your vegetables from conventionally farmed sources, this would be better for your health than eating no fresh vegetables at all. However, conventionally farmed vegetables are not your best choice. Organic vegetables are a much better option. So if you need to work within a certain budget, use this information to help guide you to the best choices when it comes to lowering your overall pesticide exposure.